The Office of the Consumer Protection (OCP) under Ministry of Economic Affairs was officially established in 2014 with a mandate to promote and protect economic interest and safety of the consumers. The Office of the Consumer Protection will ensure safety of the consumers arising from the consumption of goods and services, ensure availability of standard quality products and services, safeguard economic interests and rights of the consumers, and facilitate redressal mechanisms for consumer grievances. Many of the consumers fall victim to adulteration and high prices, poor quality of products, and black marketing among many similar other issues imposed by traders, manufacturers, and service providers in the country, so the OCP is the principal agency responsible for looking into such grievances from the consumers. “It is possible that many of the consumers are not aware of the OCP as we are fairly a small office with around 13 staffs at the moment, and it has only been more than two years of the establishment of the office. So in order to educate the public on their rights and responsibilities as a consumer, we’ve have been proactively carrying out field advocacy to make them aware about our roles and mandates,” said Gopal Pradhan, Chief Trade Officer. 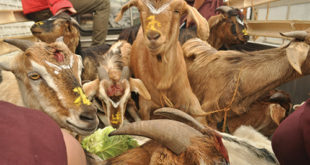 Gopal said that they have authorized gups in the Gewogs as their advocates to protect, negotiate and forward the consumer’s grievances to the Dispute Settlement Committee. There are also six regional trade offices in Phuntsholing, Gelephu, Mongar, Samtse, Samdrup Jongkhar, Thimphu and Paro to cater to issues related to trade and address the grievances put forward by the consumers. The OCP however, is not responsible for regulating the prices of the goods in the market. “We do not regulate the prices of the goods, but we do entertain cases where the consumers have been duped with abnormal charges on any products, which would have exceeded the Maximum Retail Price (MRP) by almost double or more than that,” said Gopal. He added that it is still not clear as to which agency is specifically responsible for regulating the prices of the goods. “So far, we’ve received complaints regarding the variations in the prices, quality of the products and services from the consumers,” said the Chief Trade Officer. To further streamline their public service delivery, the agency is in the process of advancing their services through online spaces where the consumers can easily address their issues and the office will also upload the Market Price Information (MPI) which will aid in cross checking the actual prices that they need to pay and the prices offered by the traders in the market. 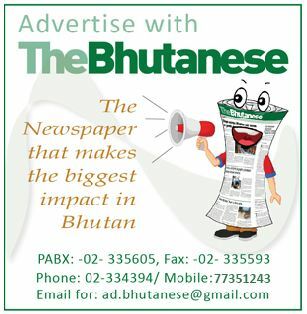 “Many of our consumers are not aware but we also have a page on Facebook called the, ‘Consumer Protection Forum of Bhutan’ where the public can inbox us their complaints directly. The office will also provide 24*7 hot line service,” said Gopal. The Chief Trade Officer said that it is mandatory for the consumers to have receipts of their transaction as a proof on purchase to lodge any complaints. “The consumers must ask for receipts on the purchases made above Nu 100 from any shops. We’ve been advocating to the business entities to issue receipt to the consumers on the purchases made,” said Gopal.